G4 PU insole is made by fabric, pu gel and eva foam. Our pu insole is designed for those who involve many kinds of sport activities. It can cushion and absorb shock to help people during exercise. Pu insole is lighter and more economical than silicone insole. 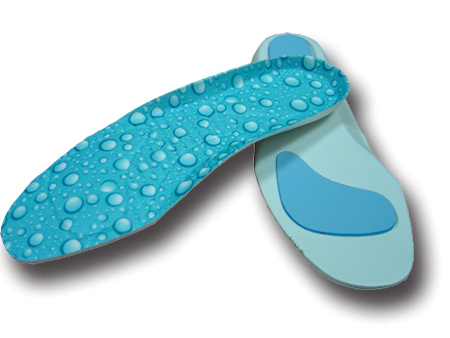 If you require any further information about pu Insoles, please submit form at contact us page or email us.